Welcome to our Private Investigator page. 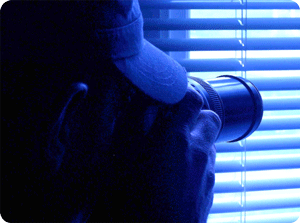 Lateo Surveillance Ltd a leading, experienced Private Investigation and Commercial Surveillance Company. 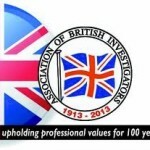 The online digital era has seen the current ‘unregulated’ UK Private Investigation sector exploited by thousands of so called private investigators, setting up overnight, posing as local agents offering a huge raft of investigation services throughout the country. Currently, anyone can build a flashy website, advertise and trade as a private investigator with no training or qualifications whatsoever. You could be engaging a convicted criminal to carry out your investigation because at this moment there is no legislation in place for the Private Investigation sector of the security industry. These companies simply take your case (and) money then offer it out on social media forum groups where others bid for the work, (normally) the lowest bidder wins. There are huge risks involved with this practice, the first being data security. Secondly there have been cases where the agent was not paid by the investigator resulting in the agent approaching and informing the subject of YOUR investigation that they had been placed under surveillance. This could be devastating for you and/or your company. 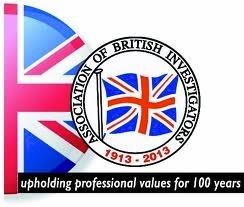 The principal investigator of Lateo Surveillance is a full member of The Association of British Investigator the only private investigation body endorsed by the Law Society of England and Wales. In an unlicensed industry can you afford to take the risk? Step 1 – After discussing your requirement a proposal including costs will be forwarded for your consideration. Step 2 – Send proof of identity including current address. Step 3 – Once proof of identity is received an info pack will be forwarded. Step 4 – Make payment prior to investigation commencing. Do you feel a prisoner in your own home? Are you scared to leave the house? Are you being threatened or feel intimidated? Is noise making your life a misery? Our Anti Social Investigation team have installed overt and covert CCTV cameras to obtain evidence of bullying, harassment, intimidation and vandalism. We have obtained video footage of theft, criminal damage and also disgraceful behaviour carried out by groups of yobs making everyone’s lives on an estate a misery. Anti social behaviour can affect private individuals at their homes or businesses. People carry out anti social behaviour do not discriminate, businesses or homemakers, their aim is the same; maximum disruption to the daily and nightly routine with the maximum impact. We can obtain the proof you need to force the authorities into action. Is your business suffering from theft? Are your employees committing fraud or flouting health & safety rules? Are you being intimidated? Do you need to monitor someone in your home or the home of a loved one who is perhaps unable to care for themselves? Our Covert Cameras service will give you all the answers to your questions. Our installer is an experienced and qualified technician. We have installed covert cameras for our commercial and private clients. We have identified theft, fraud, serious misconduct to cheating partners and director fraud. All our video footage can be used in a court of law as evidence should this be required. Do you suspect that your employees or company directors are committing acts of serious misconduct, theft or fraud? Perhaps the figures are no longer adding up? Employee Absenteeism a problem? Personal Injury claim in doubt? Usure about the legality of commercial surveillance? Fraud in the workplace can take years to identify, by the time it has been identified tens or hundreds of thousands could be lost with the perpetrator applying for bankruptcy to avoid paying the money back. Employers have a right to protect themselves, their business and its interests in accordance with the Information Commissioner’s Office. Covert Monitoring of employees can be fully justified and legal providing the correct processes are followed. Contact us for a completely free PDF employers covert monitoring guide. Need to know where your vehicle is visiting? Are you curious as to how long it is staying at a location or how frequently it visits specific places? Do you want to know how fast someone is driving? Do you need to be informed when your vehicle visits or leaves a certain location? Our covert vehicle tracking service will give you all the answers. Once our tracker is deployed you can sit back and receive daily reports or more frequent if the situation dictates that this is necessary. Trackers can often be used in and around a physical surveillance task to aid the people on the ground thus cutting out unnecessary costs for you or your business. They can be used pre-surveillance to determine if what you suspect is happening but without exceeding your expenditure in the first instance. Covert vehicle tracking is an excellent and cost effective way to monitor vehicle movement or aid an ongoing surveillance assignment. Are being followed? Does someone know more than they should regarding your whereabouts? Do you have a gut feeling someone is watching you? Our counter surveillance service can help. The purpose of counter surveillance is to identify if you are being placed under surveillance and is not to be confused with Anti Surveillance. Once confirmation has been established we will formulate a counter surveillance plan of action that will safeguard you, your family or your business. This could include placing the team or individual under surveillance to identify their movements. Identifying if this is a stalking case where our evidence can be used in court to pursue a case of harassment. Fed up with the habitual sick day taker? Is someone off work with a bad back yet been seen on the golf course or football pitch by a fellow employee or friend? This is not on, you do not have to put up with this, we can help you build a portfolio of evidence so that you can deal with this issue in a professional manner. Many employers including the HR departments feel uneasy about monitoring employee absenteeism. If you believe an act of serious misconduct is taking place an employer has every right in accordance with the employer’s code of practice, issued and governed by the Information Commissioner’s Office (ICO) to authorise covert monitoring of its staff. There are procedures and guidelines to follow as laid down by the ICO. Lateo Surveillance will guide you through the very simple process to ensure you keep the right side of the law. Is your partner cheating? Not being honest about their whereabouts? Do you need hard evidence? Our matrimonial investigation team is headed by an experienced private investigator who will obtain the facts. Our team will provide video and photographic evidence backed up by written reports; all evidence can be used in court should this be required. Please note all our investigations are carried out using ethical procedures; all our evidence is to admissible in court. Has an employee made a claim against you for an injury sustained at work and seen on the golf course? Or in the pub dancing on the bar? Our Personal Injury Investigators are experienced professionals with a wealth of knowledge. All investigations are carried out to the highest standards using ethical procedures and in accordance with The Association of British Insurers good practice guide. See our post Personal Injury Fraud Case Study. Do you need to look after a loved one? Require a discreet protection service? Are you concerned about harassment or received threats of violence? Our discreet highly experienced protective surveillance team of qualified surveillance and close protection officers can give you the confidence to relax allow you complete freedom of movement. Our team will covertly monitor the asset from a stand off distance however always in a position to react if the situation changes. An excellent, low profile protection measure. Are you in a messy divorce and need to prove cohabitation? Are you a landlord and want to prove there are more people living in a property than there should be? Maybe a breach of contract? Our proof of cohabitation investigations are carried out in a discreet manner using video surveillance. Lateo Surveillance produce comprehensive evidence packs containing detailed reports to an evidential standard. All information obtained can be used in court. Do you need to locate a family member? Long lost friend? Want to look into someone that you have met online? Maybe a new business partner? Our tracing & background check service can help. We have access to specialised databases and open source information which can quickly locate individuals. We require some basic information such as name, date of birth or age and any previous addresses. This information will give us the starting point we need. Please note there must always be a valid reason for a trace and your identity must be confirmed. Have a question? please visit our Frequently Asked Questions page. For further information on Lateo Surveillance Ltd see our About us page. Specific information relating to Legal Clients – Commercial Clients – Private Clients can be found on our site. Visit our Private Investigator Durham or Private Investigator Harrogate page. Lateo have invested heavily in its technical equipment, with access to cutting edge & state of the art gear, we have the edge! This is a resource area that will help answer all your questions on Private Investigation. If you don’t see an answer, contact us and we will be pleased to help.